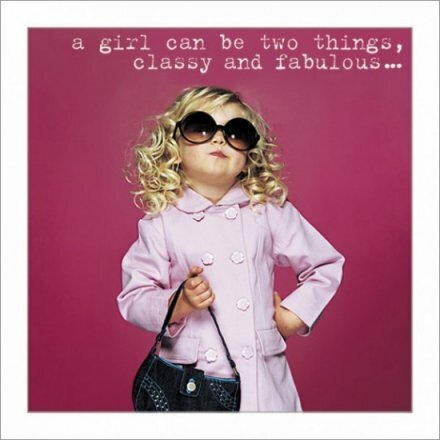 Make your bestie giggle with this glam pink greetings card featuring a young fashionista and "a girl can be two things, classy and fabulous..." quote. This card is blank inside for your own message. Envelope included. Minimum order quantity 6, priced individually.